Fear is a powerful emotion that affects you in many ways. For example, you can make poor decisions because you are in the wrong frame of mind. Inaction is also possible when the fear of moving in a new direction overpowers the desire to act differently. Stress and unhappiness are also by-products of fear. 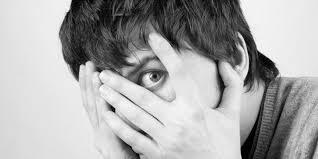 Here are 6 common fears in addiction recovery. In this case, awareness refers to the recognition of pleasant and unpleasant realities. Many people fear these realities because it makes them feel inadequate when changing them is difficult or impossible. Consequently, they escape this awareness through drugs and alcohol. Overcoming this fear is possible by accepting unpleasant realities such as traumatic events that happened in the past. You also have to know that you have the power to change your life so that you can live positively. Change it today by checking into a rehab center. Trying something different is always challenging to some extent because we do not know what we might face during this trial. For example, we might fail as soon as we start or as we are about to complete the recovery process. Consequently, most people give up on trying because they fail that success is too much of a long shot. Avoid this mistake by realizing that a bit of pain today leads to tremendous gains tomorrow. Many people have succeeded in addiction recovery, and you can reach these heights of success as well. Start your journey to success today. Many people fear that changing an aspect of their existence would change them completely. For example, perhaps you think that drugs make you fun and lovable. You may think that these substances help you conquer your shyness. Well, most psychologists would disagree. They would say that you could be fun and entertaining without drugs. In fact, most people are. Ironically, drugs will push you into depression in addition to driving your friends away. Overcome this fear of losing your identity. Instead, realize that drugs destroy your personality while a drug-free life enriches it. You already have friends who like you, know you, and hang around you. You respect them, and they appreciate you as well. Unfortunately, some of them may be drug addicts as well. The fear of these friends judging you for leaving this lifestyle might keep you in it for a while. Overcome this fear by realizing that real friends would help you overcome your addiction. More importantly, act in your best interest instead of doing something based on what other people think. Your body craves for drugs when you are going through detox. This craving leads to various symptoms including irritability, anxiety, depression, and insomnia. Others are profuse sweating, increased sensitivity to pain, and emotional instability. Overcome this fear by realizing that these symptoms are temporary. Moreover, they are not as bad as people believe they are. More importantly, you will have people to help you along the way. You will stay away from your family members and friends as you go through rehab. Loneliness will creep into your life. Dealing with it will be a trying experience for you. In fact, people avoid addiction recovery entirely because they fear loneliness. Overcome this fear by realizing that this kind of loneliness lasts for a while and it is not as bad as it seems. Remember, your loved ones will support you throughout the recovery period.